Cruising the last week has been all the more fun in this little lady bug. 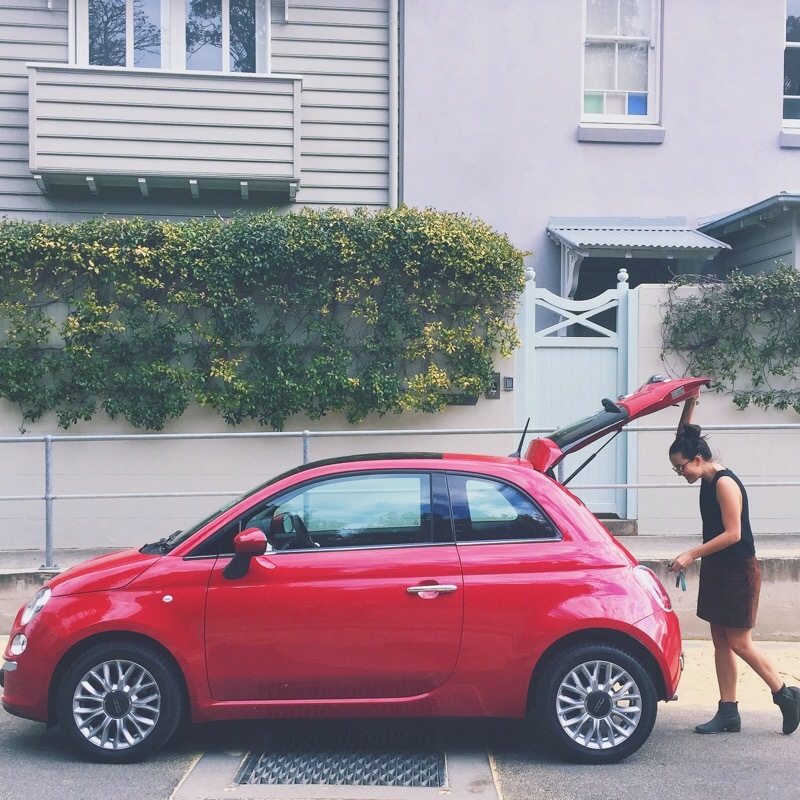 Think, zipping around every corner, no three point turns and fitting into every parallel park. 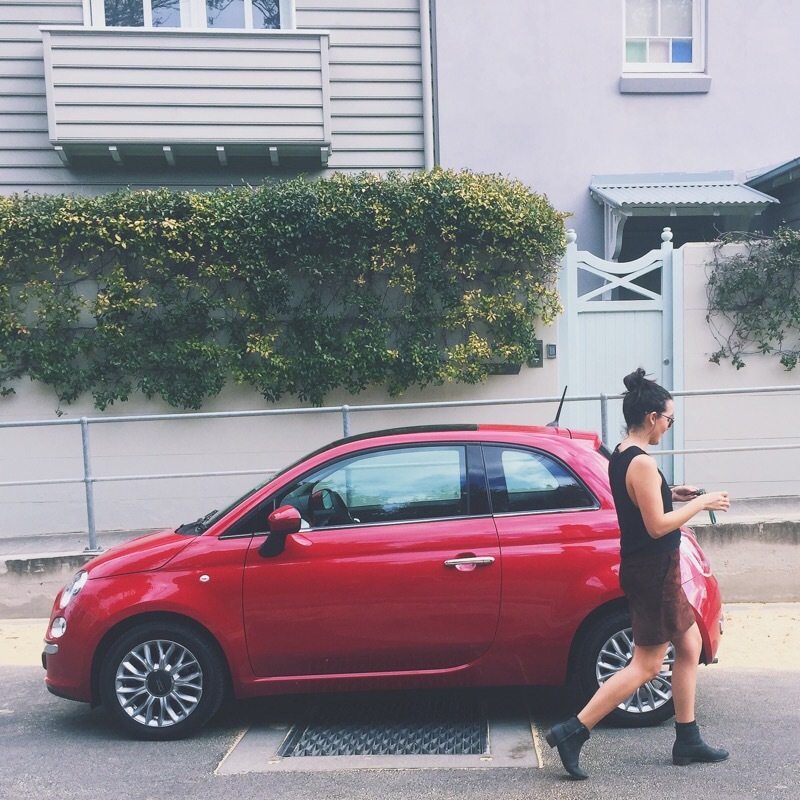 Oh that’s right, I am talking about the Fiat 500! I’m one of those people who love driving. Sometimes I get in the car and feel I could keep driving back home to the Sunshine Coast or down south to Melbourne. I’ll go or for coffee with the girls and be like no, not ready to drive home just yet. 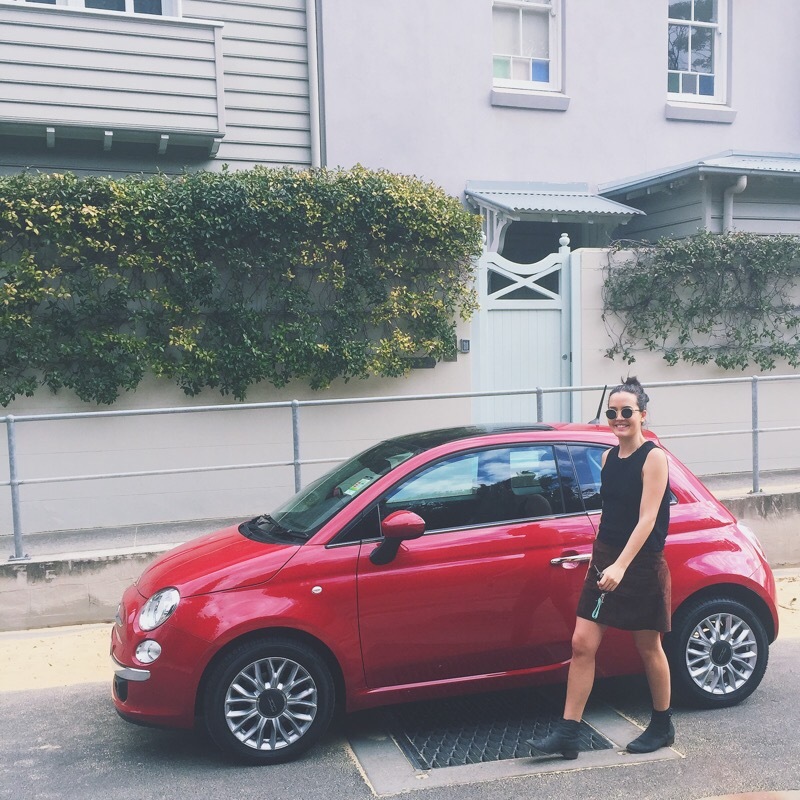 A few girlfriends and I went for breaky in Bondi on Saturday, we finished up and decided we weren’t quite ready to depart from each other so we kept driving to Watson’s Bay and cruised past the cutest little houses. The one in the background was one of my favourites. This is a savvy kind of car that gives you oomph and power when you drive and having that sunroof open makes turning up the music and having the windows down just a little more exciting.